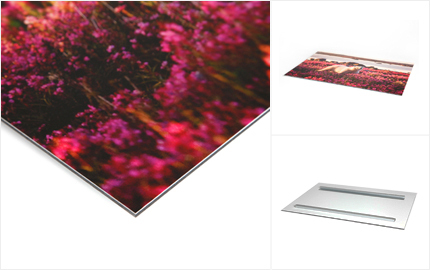 A refined way to present your photographs is to have them laminated on an aluminium Dibond panel and sealed under plexiglass. The plexiglass imparts the motives with a special depth effect and enhances the brilliancy of the columnours. The digital carbon print is laminated onto a 3mm Dibond back panel and sealed with a 3mm plexiglass afterwards. This method ensures an excellent protection against ultraviolet rays and guarantees original chromaticity. The print is equipped with a professional hanging system on the back. The digital carbon print is mounted onto a 3mm aluminium dibond panel which is then sealed with a semi-matte finish. All elements are bonded in a way so that they build an airtight unity. In contrast to the FineArt print, this method secures the long-term durability of the columnour photo. Through the finish the print is protected against environmental impacts and ultraviolet rays. In comparison to the lamination with plexiglass the mirror effect vanishes but so does the plexiglass´ radiance. Through spacers that are fastened on the back of the print the image appears to “float” on the wall. 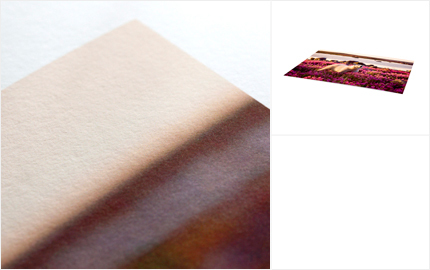 Our FineArt prints are printed on high-quality papers of Hahnemühle. These artists´papers fulfill the highest demands in terms of columnour range, contrast, graph and columnour graduation. The papers are acid-free, suitable for archival storage and resistant to age. We effectuate expressive columnours by using pigmented Epson Ultrachrome K3 inks. Furthermore, through different columnour graduations we attain an extraordinary tonal value. We offer you premium canvas prints with Epson UltraChroe K3 inks which assure strong image columnours. The image is printed onto a fine, laminated matte textile ideally suited for canvas covering. Our professional frames consist of multiple glued laminated ledgers and are non-warping. Our standard ledger is 1,5cm high.